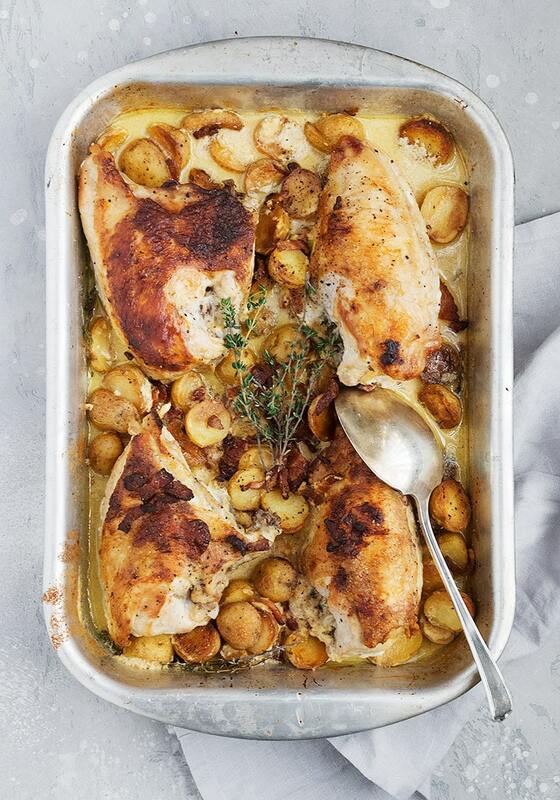 A delicious all in one pan meal, this Honey Mustard Chicken combines with mini potatoes and bacon in a creamy honey mustard sauce. I am such a fan of chicken with mustard. The flavour combination just hits all the right notes for me. 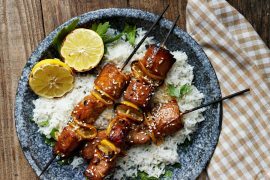 This Honey Mustard Chicken adds some slightly sweet notes to the mix by using honey mustard instead of a classic mustard. A little cream and some herbs combine with the mustard to make a sauce that will have you licking the spoon! Added to the pan is some crisp bacon bits and some crispy mini potatoes. It takes just a few extra minutes to crisp them up on the stove-top, before bringing it all together with the chicken to finish cooking in the oven. Make it a meal by adding some steamed green beans or broccoli on the side or go with a simple salad. 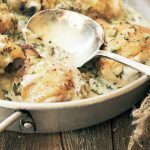 You’ll love all the flavours and textures in this dish and you can start with any type of chicken. See the Cook’s Notes below on how to adjust for different chicken pieces. You can use any kind of chicken here. The only thing that will change is the cooking time (both stove-top and in the oven). 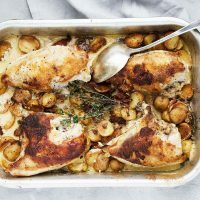 For boneless chicken (thighs or breasts), simply sear lightly on the stove-top, then transfer to the oven as written, but adjust the cooking time to probably around 10 minutes covered, 10 minutes uncovered. Bone-in thighs would be in the 15 minutes covered/10 minutes uncovered range. Bone-in legs with back would cook about the same time as the bone-in breasts. In all cases, an instant read thermometer is always recommended to check for doneness. Chicken should be 165F in the thickest part. Alternately, you could cut into them to check. The juices should run clear and there should be no pink. As for the honey mustard, I’m using store-bought honey mustard. The various brands vary in their flavour and sweetness, so you should use one that you enjoy the taste of in other uses. I love the Maille™ Dijon Mustard with Honey. I always have half and half cream on hand for my coffee, so I’ve used it here to add creaminess to the sauce. I add a bit of flour for thickening. 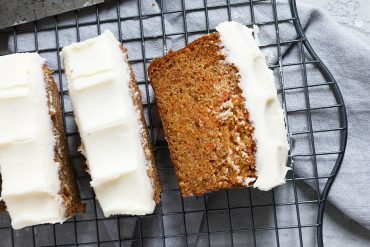 If you wish to use heavy whipping cream, you could use less flour, maybe 1 Tbsp. Alternately, if you want to use milk, I would suggest whole milk and I would increase the flour added by a tablespoon or so. A low fat milk (2% or less) can be used, but the sauce will be thinner (still tasty, but thinner). Top Tip! Take the time to crisp up the bacon and cook the potatoes until crisp and golden. A little arranging in the skillet so the cut side is down will help. This ensures you don’t have limp bacon and soggy potatoes after the trip to the oven. Why guess if your chicken is done?! An instant read thermometer is inexpensive and a great addition to your kitchen. 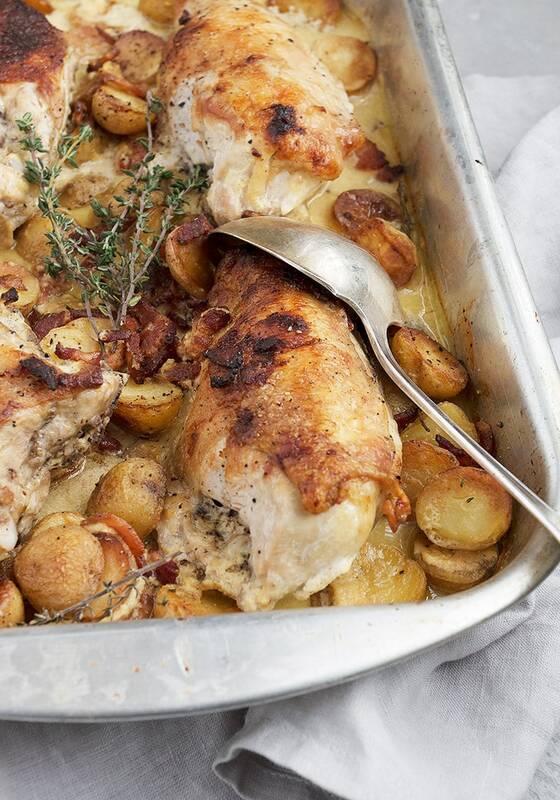 Chicken cooked in a creamy honey mustard sauce, with mini potatoes and bacon. Preheat oven to 400F. and have ready a large shallow roasting pan (10x15-ish or big enough to hold all the chicken and potatoes. 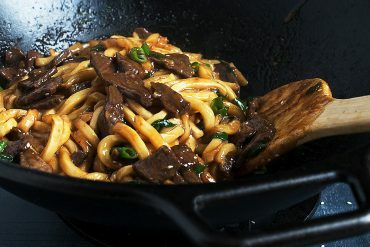 In a large skillet, heat the oil over medium high heat. Season the chicken with salt and pepper. 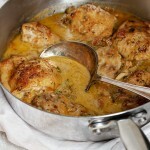 Place chicken in the hot skillet, skin side down and cook about 4 minutes, or until the skin is golden. Flip chicken and cook the other side another 3 minutes or so. Remove the chicken your roasting pan. Add the bacon and potatoes to the same skillet. Cook, stirring regularly, over medium-high heat, until potatoes are golden and bacon is cooked, 5-7 minutes. If there is a lot of bacon fat in the pan, spoon off some, leaving a tablespoon or so in the pan. Sprinkle flour over-top and cook, stirring, for 30-45 seconds. Add the cream, honey mustard, chicken broth and thyme to the pan. Stir to combine. Season with a pinch of salt and freshly ground pepper and cook a minute further. Pour mixture over chicken in roasting pan. Cover roasting pan with aluminum foil and cook in preheated oven for 15 minutes. Remove foil and cook a further 15-20 minutes, or until chicken is cooked through - 165F in the thickest part. Serve garnished with additional thyme sprigs. I've detailed in the Cook's Notes in the original post, some options for starting with different types of chicken and the adjusted cooking times and also for different cream/milk you might want to use. 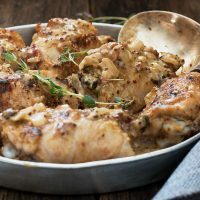 The perfect easy, weeknight meal, this Chicken with Dijon Mustard Sauce is both delicious and quick! 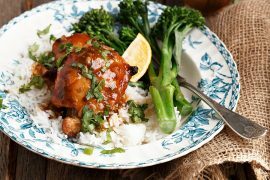 Delicious chicken thighs, cooked in a French-inspired dish of chopped cornichons, grainy mustard, tarragon and a touch of apple cider. 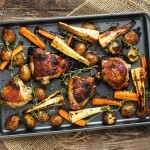 Chicken thighs, carrots, parsnips and mini potatoes, all tossed in a honey mustard marinade and roasted together on a sheet pan, for an easy and delicious dinner! 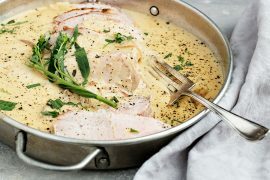 One-pan chicken with a creamy mustard sauce, bacon and onions. Simple enough for weeknights, but special enough for company. Soooo comforting! 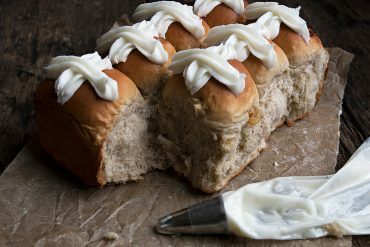 Wouldn’t change a thing, this recipe is perfect as is. Chicken was tender and the potatoes almost melted in your mouth. I used my large Le Creuset braiser with lid, so it looked absolutely beautiful once it came out of the oven! I have to say, every recipe I have tried from your website quickly becomes a new household favourite. 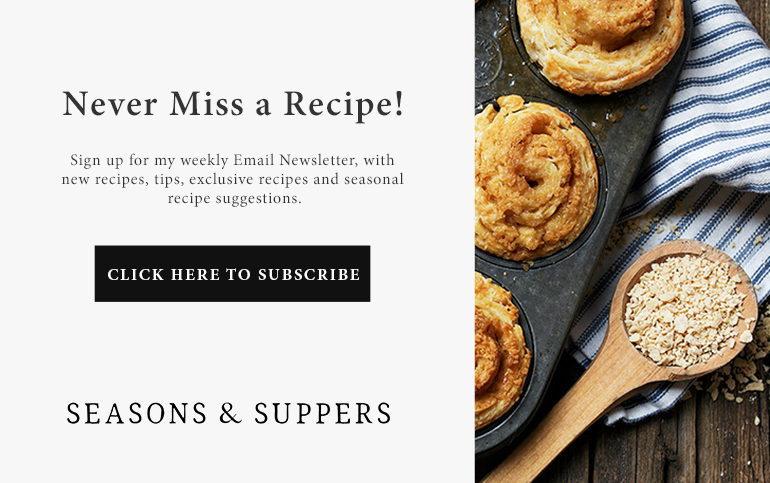 I look forward to continuing my cooking journey with seasons & suppers! Five recipes in the past five days, every single one has been outstanding. Made this with boneless skinless chicken breasts, and they did not dry out af all. Had only Maille Creamy Dijonnaise so just added a dollop of honey to it. I liked that the sauce had a great taste but there wasn’t a strong mustard flavour. So glad you enjoyed it Cheryl! One of my favourites :) Thanks. Another winner for the weekday night! Cooked as your recipie …what was great was I had everything on hand in the fridge from the stock to the bacon…I used whipping cream 35%. I also used which I had bought few days before thighs with bone in and skin on. Came out perfect even had left over for two lunches the next day. Thank you for making me look good! Next time I will try with the breast. So glad you enjoyed this Pat :) I just love the flavours together. Thanks! Hi Jennifer. Just wondering if you pre-boil the potatoes before searing and baking them? Hi Glen and no, no need to pre-boil the potatoes. I sought out a bag of mini potatoes that were especially mini and mostly the same size. That way, they cook well and evenly. 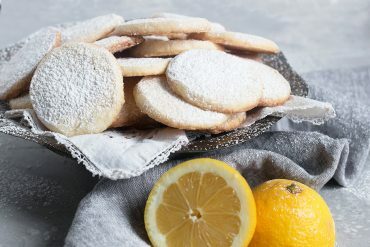 Absolutely brilliant recipe Jennifer. I had to use thickened cream as it’s hard to find half ‘n half in Oz, and I omitted the flour as per your notes, but next time I’ll probably add some flour as the sauce was still a bit runny. Magnificent taste though. Thanks very much!! 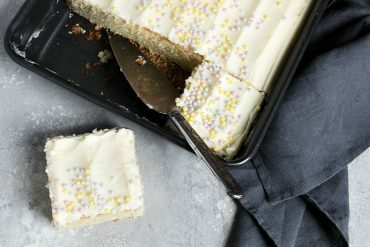 What is the weight for the number of potatoes you have in this recipe? Thank you. Hi Janis, I didn’t weigh them. I just counted them :) You just want to use around that number of similar-sized quite small potatoes. Mustard is my favorite condiment, I even use it on French fries so you know I’m really going to like your chicken dish. You will love this one then, Karen :) Thanks! You had me at honey mustard, this is the perfect dinner idea! The title pulled me in before I ever saw the beautiful pictures. Everything I love; chicken, mustard, bacon! YUM! 5 stars! I’m a big fan of chicken and mustard dishes too Jennifer. And add some bacon and that totally seals the deal. Tom and I would both enjoy this delicious comfort food dish! Just saw this on Insta and had to run right over! 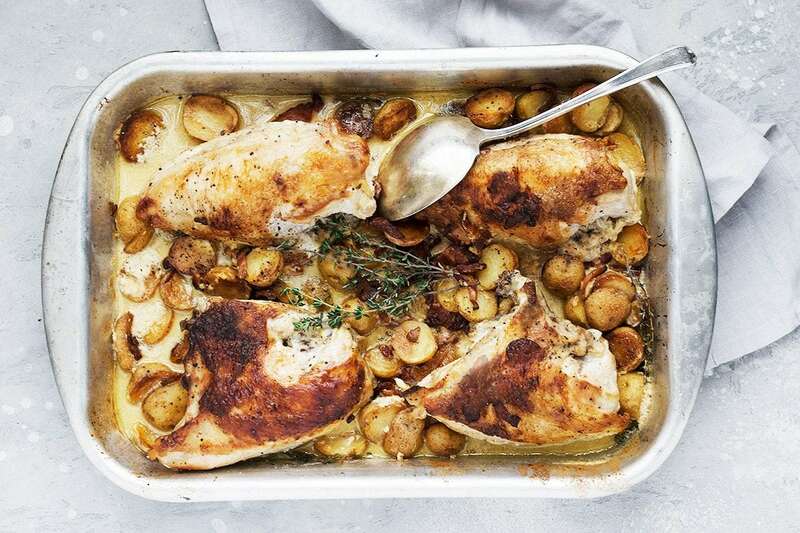 Nothing better than a one pan meal, especially when it’s this tasty! Pinned! I absolutely LOVE everything about this dish, Jennifer!!! I’m a huge fan of mustard with chicken, especially honey mustard, and I mean who doesn’t adore bacon and potatoes?!?! This cozy dish is a must make for sure!!!! Cheers! Thanks Cheyanne and yes, honey mustard is such a great flavour, for sure!